Austin Mahone's latest single "Dirty Work" was initially set to debut on July 10, per his Instagram post stating, "I know its been a long time coming...Been waiting to say this for what seems like forever. So grateful you guys have been so patient & supporting..But i’m finally ready to say.... DIRTY WORK COMES OUT ON JULY 10!!!!!!" 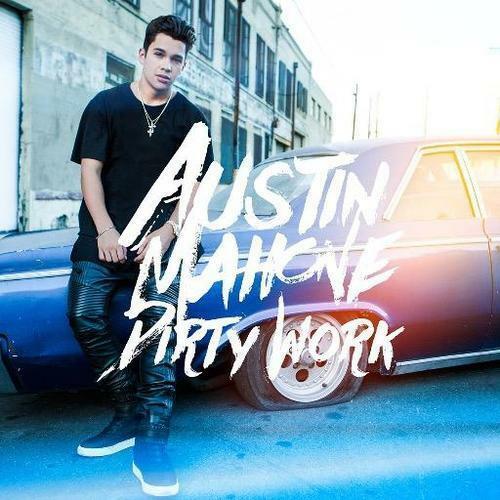 With its heavy guitar licks and blasting horns, "Dirty Work" manages the type of retro vibe we've been hearing more of on the radio from newer artists like Charlie Puth and Meghan Trainor, though "Dirty Work" is decidedly more funk than soul. Austin has yet to release a full-length album at this point in his career, choosing instead to release two EPs and a handful of one-off tracks, but "Dirty Work" is said to be the lead single of his upcoming debut album. In the interim between his last release and "Dirty Work," Austin did release a ballad for his fans called "Torture" — which is exactly how his fans feel as they waiting for a full-length LP. Take a listen to "Dirty Work" below, and you can #buyDirtyWorkoniTunes for 69 cents (what a steal!) here.